The bus plying on Tulsipur-Kapurkot road section fell around 400 meters down into a ravine resulting in the death of as many as 16 students and teachers on an educational tour. Kathmandu: At least 16 people including students and teachers lost their lives and 11 others were injured in a bus accident at Ramri in Tulsipur of Nepal’s Dang district on Friday. 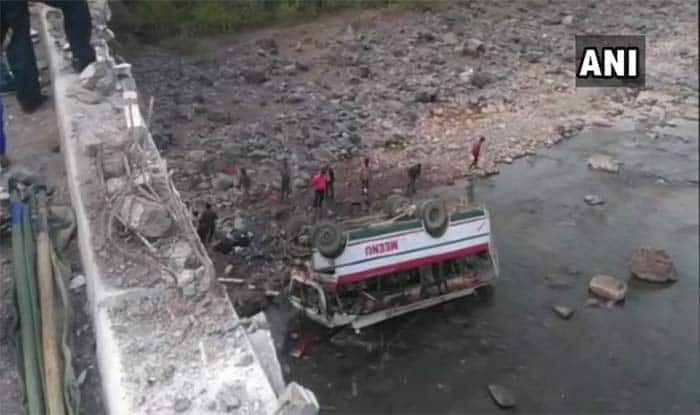 The bus (Ba 4 Kha 9766) plying on Tulsipur-Kapurkot road section fell around 400 meters down into a ravine resulting in the death of as many as 16 students and teachers on an educational tour. The bus was heading towards Tulsipur from Kapurkot of Salyan, according to District Superintendent of Police (DSP) at the Area Police Office, Tulsipur Prem Bahadur Shahi. Meanwhile, authorities and first responders rescued eleven injured persons and took them to Rapti Zonal Hospital for treatment. Two of the seriously injured have been referred to Nepalgunj. 31 students and teachers of the Krishnasen Icchuk Technical School in Ghorahi were on board as they were returning from a tour of a botanical garden in Mulpani of Kapurkot, Salyan.